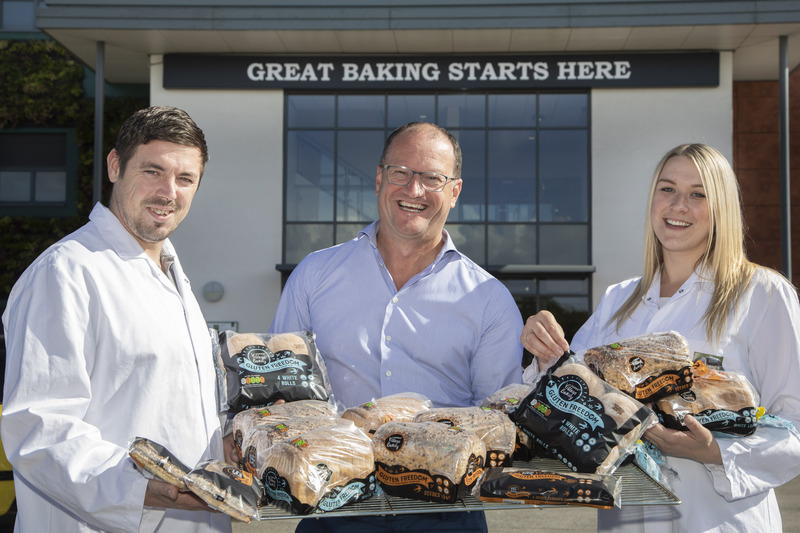 A booming bakery firm has clinched a deal to supply a leading retail chain with its new gluten-free range. The products are being rolled out by the Wrexham-based Village Bakery to a total of 60 Spar stores in North Wales – with another major announcement expected before the end of the year. The family-run company is now receiving enquiries about their own-label Gluten Freedom range from across the UK and a number of European countries. As a result of their expansion, they are now in the process of recruiting 20 new apprentices to become the new generation of bakers. According to the Village Bakery’s managing director, Robin Jones, the “uber positive” response to the new gluten-free products has been beyond their wildest dreams. They were already on sale at a string of independent stores North Wales, Cheshire, Merseyside and Shropshire. The reaction of customers has justified the company’s £12 million investment in converting the former Caparo Wire factory, close to their two existing bakeries on Wrexham Industrial Estate, into a state-of-the-art production facility for a new range of gluten free goods. The building has been re-clad and extended from 55,000 sq ft to 75,000 sq ft and is due to be up and running before the end of the year. It will be the most advanced bakery of its kind in Europe and will cater for the explosion in demand from customers. The first 10 products in the own-label range are being made at the family firm’s original but much smaller gluten free bakery on the industrial estate. Until now it’s been a wholesale operation making the gluten and wheat free products for other customers. Existing staff will be transferred to the new bakery when it’s ready and the company is confident the expansion will eventually create more jobs in addition to the apprenticeships. Mr Jones said: “We’ve had an absolutely fantastic response to the Gluten Freedom range from our customers. “The consumers love it. They can’t believe the texture of the products which are on sale alongside our traditional range. “That is the best compliment we could ever have because that’s exactly what we were aiming to do. “We tried to replicate our Village Bakery products in a gluten free manner and coeliacs and our wheat-free consumers now recognise that they are getting something a bit different. “We’re setting a new benchmark in gluten free products so everything is now set fair for the opening of our new gluten-free bakery in December. “This is a step change for the business in many respects and why we are taking on 20 new apprentices. “We’ve been delighted by the demand from the UK and also now from across Europe with enquires from Scandinavia, Holland, Belgium and France. “We’ve been baking gluten-free products now for 10 years and we’re also using our knowledge and skills as craft bakers to make the products better and better.